Your website is a vital tool in your branding and marketing efforts, and plays a pivotal role to gain an edge in of one of the biggest marketplace right now: the Internet. However, many websites fail to boost their online visibility and fizzle out without garnering any attention. The internet today is populated with millions of websites that are unable to motivate visitors to avail their offerings and expand their horizon. 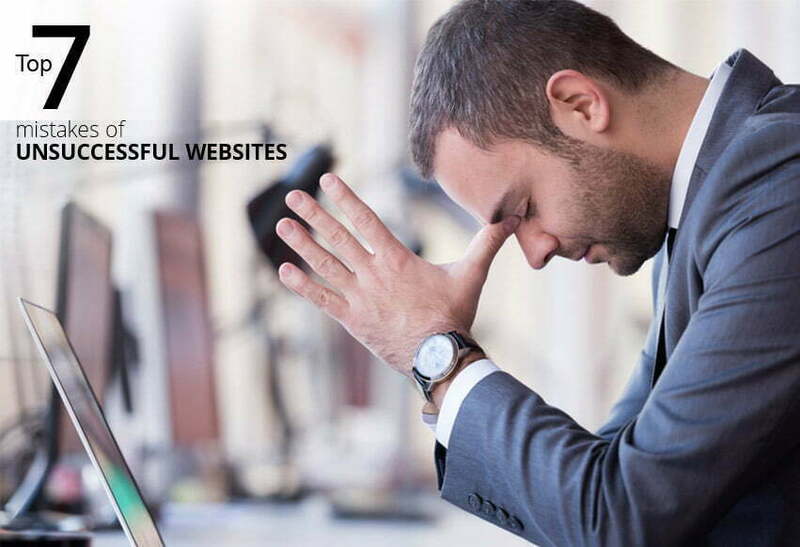 Below are some of the reasons why websites fail. By avoiding these common pitfalls, you can help your website reach its goal. Generic websites and cookie-cutter systems do not offer anything new to visitors. A website needs to bring something unique to the table to gain instant attention of the users. Whether you are offering custom services or selling organic products, it is important to create ingenious designs and features, to let your visitors gauge the difference between your services and your competitors to make you stand out. If your website is loaded with heavy technology, it becomes difficult for the search engine to determine the content, which leads to poor penetration. It is important to establish which technology is vital to the website’s success, and which one you can easily discontinue. A basic, easy to load website is far more likely to succeed than a graphic-burdened, hard to load, and difficult to navigate flashy website. Also, heavy websites do not look good on cell phones or tablets – a prime market for your online presence. Finding a balance should be the top concern. It is important to make traffic generation a priority for making a successful website. Websites which do not spend enough time courting new visitors, sooner or later, fail to hold the attention. It is important to invest time to understand the needs of your customers and finding new ways to connect with them. With so many options available from the SEO marketing to social media marketing to paid PPC advertisements, you have a slew of tools to design an efficient marketing plan. If your visitor cannot figure out in flat three seconds what they need to do next, your design may have a flaw in it. Always remember that less is more when it comes to website design, and it is not necessary to use all the bells you can fit into your website. Choosing design elements that damage the user experience rather than enhancing it is sometimes the prime reason visitors feels an instant disconnection. You need to define in clear terms as to what do you want users to do when they find your website. Do you want them to contact you, subscribe to your newsletter, or buy your service or product? Always make sure that you are telling your user where to go, what to do next, and most importantly when. If they are unclear what they need to do next, they won’t think twice before clicking that cross button. Mobile usage has been skyrocketing and has almost matched desktop usage. For the websites which fail to adapt to the changes, it can be an expensive missed opportunity for your brand. Having a mobile-friendly website is no longer an added feature, but has become a core necessity to develop your business and your brand. Not only it gives a rich experience to your mobile users, but also makes it easier for Googlebot to crawl your site. If you are looking to develop a website that stands out and presents your brand and product in the way it deserves, Pulse Solutions has the technical proficiency to help you. Create a unique website that speaks to your audience. Contact us for your web design or web re-design project.